Over the past decade, wireless technology has taken the professional football fan experience to new heights. We watched the transition carefully as the NFL changed from a league where only a few teams and venues where early technology adopters – to today’s league where every stadium is wireless with a robust set of data collection points from mobile apps to Bluetooth beacon networks. The NFL’s adoption of wireless technology has opened new doors for the league’s fan experience – as well as for marketers and sponsors who partner with the league to spread their brands’ messages. A connected franchise can offer its fans an expanded set of content and streaming services, whether it’s the first quarter of the big game or the off-season. And new technologies like RFID and augmented reality are only beginning to find their place in the new high-tech fan experience. As the pros have pushed the envelope of new sports technologies, the NCAA has taken a much more reserved approach. Lately, we’ve noticed a few signs that this might be changing, and we think the time has come to start taking a closer look at the ways that wireless technology is most likely to impact the NCAA football fan experience. The NCAA first signaled their openness to experiment with technological game changers several years ago, heading in to the 2015 season. At that time, the organization announced it would begin testing helmet cameras, wireless audio between players and coaches, and sideline computers. A few teams started testing helmet cameras in 2014, but NCAA rules prevent the use of film for coaching purposes during a game. When the NCAA agreed to continue the testing on its own the next year – they were gauging the impact that the new helmet cameras could have for two distinct purposes. Their primary tests dealt with the use of helmet cam footage by coaches – with secondary tests aimed to determine the extent to which the cameras could impact fan experience during games. NCAA rules also prevent microphones at field level, which presented a clear barrier for teams eager to adopt NFL-style wireless communications between coaches and players. Early testing was widely successful and the NCAA indicated in February 2016 that it would begin allowing video and technology in coaching booths and locker rooms beginning in the 2017 season. Many teams and coaches expressed concerns about the changes, and the NCAA rescinded the rule change before the 2017 season began. Compared to the NFL, rule changes in the NCAA are more complicated and much harder to execute. While there are exactly 32 franchise owners in the entire NFL, there are about 130 Division I NCAA teams. They come from 10 different conferences, and there are typically 5-10 independent Division I teams in a season. And not only is the college football landscape more complex, it is also more dynamic, with teams regularly moving between conferences and divisions. As you might imagine, rules changes can be quite difficult to execute in the NCAA environment. While some commentators debate about whether the NFL is currently enjoying an “age of parity” – few would argue that is the case in the NCAA. Certain programs enjoy a definite advantage over others in terms of recruiting, facilities, gear, and fan base. Any rule change which is perceived to widen the gap between the NCAA’s “haves” and “have nots” is sure to be met with skepticism from the majority of coaches and administrators. While any rule change that is perceived to decrease that gap will be unpopular with the sport’s most influential and dominant teams. This is the challenging environment in which the NCAA governing boards operate – and many believe it to be an important reason why the organization has been so conservative regarding rules changes over the years. One consistent trend that we’ve observed through the NFL’s adoption of new technologies is that the presence of wireless networks is both a prerequisite for and a predictor of greater investment in new technologies. 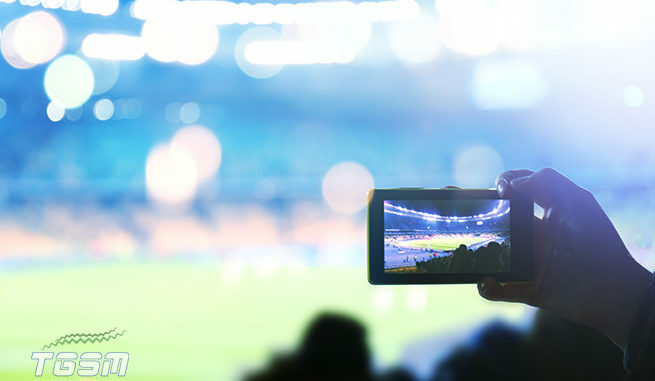 The first NFL venues began implementing onsite wireless networks in 2012, enabling early adopters to expand their content offerings and increase virtual ad space. Teams that implemented wireless networks were the first to develop gameday mobile applications and the first to begin accumulating rich composite data sets. As venues developed fan experience innovations like optimizing restroom waits, real-time parking assistance, in-seat concession delivery, and more – fans began clamoring for new technology at all stadiums. And as teams witnessed the vast marketing potential of the expanded data sets they were gathering – they were quick to oblige. With the very first early adopters setting up preliminary Wi-Fi networks in 2012, every venue in the league was wireless by 2017. So, we’ve been watching closely to monitor the implementation of wireless networks in NCAA stadiums. While a few stadiums claimed an early lead with Wi-Fi in place before the 2014 season, we’re now approaching an important milestone when the majority of Division I stadiums will be wireless. And if the recent history of the NFL is any indicator – we will start to see an explosion in creative uses of wireless technology that will widely revolutionize the NCAA football fan experience. Some of the improvements we expect to see play out soon in the NCAA include state-of-the-art mobile apps with modern gameday improvements like in-game ticket upgrades, in-seat food delivery, and the ability to find the restroom with the shortest line. And as teams develop more sophisticated data sets that incorporate external social signals – the evolution of technological improvements will really start to take off. With a robust data set and an agile network, teams and venues can deliver highly personalized content, offers, and special promotions – which together create an amazingly interactive fan experience. At TGSM, we’ve helped facilitate this progression at NFL stadiums across the country. Our mobile brand activation assets extend the reach of the mobile fan experience right out onto the tailgating lot with a free high-speed data network and an advanced digital feature set tailored to engage millennials and social influencers. And our focus on women and families has an immediate impact on event revenues. We provide state-of-the-art luxury restroom accommodations on the tailgating lot, where port-a-potties are the norm. And the response we get from women and families is unbelievable. In just one day, our mobile assets can make a fundamental impact on the attendance and duration-of-stay for women and millennials – and with advanced data capture capabilities throughout the experience, the value of our assets extends well beyond gameday. If your team is looking for ways to grow your digital capabilities and provide a modern digital fan experience, get in touch with TGSM today at (877) 995-2285. We’ll give you a virtual tour of our mobile activation assets and show you how they seamlessly integrate with your existing networks and data collection programs.